I found this really simple way of finding the installed BIOS version on an Ubuntu PC without having to reboot. Simply execute the following command in a terminal session and scroll through the output until you find the BIOS section. For more system information, just scroll through the output until you find what you need. I have successfully installed Lubuntu 10.04 on an old Toshiba Tecra 8000 (Pentium Mobile 233 with 256MB of RAM) and found that this trick to find the BIOS version did not work. The BIOS in my old Tecra is older than 1999 and doesn’t have the Desktop Management Interface present. If you are still using password based login for SSH, consider using key based logins instead. It is very easy to set up, convenient to use and secure. If you also use PuTTY on a Windows PC you can use Pageant as the automatic authentication agent. The command ‘last‘ lists the times and dates of successful logins. The command ‘lastb‘ lists unsuccessful attempts. I found that both unnecessarily had public read access on most of my Ubuntu servers. Two log files provide the data used by last and lastb. Both can be secured by changing the permission to 660. Whether the ftp daemon is in use or not on a Linux host, it’s a good idea to restrict the system user accounts from using it. Any user ID that is in /etc/passwd that is not permitted to use ftp should be copied to /etc/ftpusers. The following commands for Ubuntu create the file with a list of all users. Edit the resulting ~/ftpusers to remove the IDs that are allowed to use ftp. Then move the file from your home directory to /etc. The old Dell laptop that I use for packet sniffing was in need of a rebuild after I had been experimenting with Zabbix. In hindsight, I shouldn’t have used the laptop that has become my network toolkit. I had well and truly messed it up and I was desperate to get it operational again. Ubuntu 10.10 had recently been released and I had already downloaded the ISO images overnight. With a freshly burned CDR in my hand, I set about installing the new version. This laptop is primarily a network analysis tool so Wireshark was naturally the first application to be installed. It wasn’t long before I found that 10.10 has the same missing interface problem that I had experienced with 10.04. “No problem” I thought. “I will just use the fix that I found for 10.04“. Well, that didn’t work either. I left it for a day to have a think, and came back to it with a solution that I found on Launchpad. The fix is as follows. Reboot, login and test Wireshark. The missing interfaces should be present now. I had an unlimited download account with my previous Internet Service Provider and I never worried about what time of day I would download a CD-ROM ISO or system update. However, since changing to PlusNet I am now on a 60GB per month download limit as unlimited accounts are now a thing of the past. Now 60GB may seem a generous allowance, but in reality upload traffic also has to come of the allowance. With everyone in my household being a heavy internet user, 60GB a month is often not enough. Fortunately for PlusNet customers, any internet use after midnight and before 8am does not come out of their monthly allowance. So to take advantage of this overnight benefit I have been adjusting the times that our computers perform their automated updates. For all of our Microsoft Windows machines this is easily done in Windows update. Just set the time that updates should commence. In my case, I have set our fastest Windows PC to update at 7:05am, and all the others at 7:10am. My Son’s PC is woken up at 7:00am by it’s system BIOS and the updates it pulls down are cached on my Squid Proxy Server. The other Windows PCs collect their updates when they are switched on and most of the files are served from the proxy cache. When the editor launches, paste the following line into the file and save your work. That’s it. Cron will perform a safe upgrade at 5 minutes past midnight. As I am using a Squid proxy to cache Ubuntu updates, I set my other machines to start their update 5 minutes later by changing the ‘5’ for ’10’ in the crontab line. 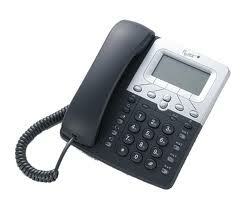 I recently purchased three Flexor 500 telephones to use with my new FreeSwitch installation at home. So far, I am quite pleased with the telephones although I am still in a process of discovering their capabilities. It appears that these phones are popular with VoIP providers that sell service to end users with a preconfigured phone. My three, fortunately, were unlocked or otherwise unprovisioned which gave me full access to the telephone’s built in web based configuration so I can use them with my own PBX. One thing I noticed very early on was that the phone’s DTMF tones were not being processed by FreeSwitch. An example of this was FreeSwitch refusing to respond to any keys pressed when in the default IVR. As I already had a working X-Lite Softphone I knew the fault was likely to be with the Flexor 500 but I couldn’t find the setting. Then after a couple of days I noticed some tiny links at the bottom of the Main Menu page. Yup, I need glasses. Anyway, the Voice Settings link took me to a new page where I could select DTMF = SIP and Inband. FreeSwitch only needs SIP for the IVR, but with Inband there is audible confirmation. I have recently moved home and I decided that after nearly eight years with PIPEX it was time to look around and see if it was possible to find a better rural broadband provider. PIPEX provided the service that I needed for many years. But after multiple takeovers, the service and the customer support deteriorated. The low point was in the summer of 2009 when my broadband connection went up from 1.5Mbps to 3.5Mbps for six weeks. To some, this would be fantastic news, and it was to me too for a while. I told my neighbour about the great broadband service I was getting from PIPEX. He was still on 1.5Mbs so he complained to his provider (the one with the local DSLAM). Within a week of his complaint my broadband speed went down to 1Mbps and was up and down like a yo-yo thereafter. I was still paying nearly £30 a month for my unlimited use contract so I complained to PIPEX. They dropped my monthly bill to less than £10 a month but my broadband performance didn’t improve and actually got as low as just 512Kbps in 2010. I realised that since I first signed with PIPEX there have been many BT exchanges in the UK equipped with competitor’s broadband equipment. My rural exchange was not one of these and my broadband was resold to PIPEX through BT Wholesale. PIPEX (now Opal) just didn’t have the clout in my region to demand better service from BT Wholesale so they just took my money and blamed my problems on being rural. No one could explain why I enjoyed six weeks of uninterrupted broadband at 3.5Mbps in the same house with the same equipment so I knew I was being screwed. I did some research online and found that PlusNet had a pretty good reputation amongst rural customers. They also have some good online tools for taking a peek at the faults logged on their network including BT Wholesale’s provision. I looked at taking broadband from Sky, BT and a few others, but because I live in a rural location, my connection for the time being would be provided by BT either directly or via wholesale and none of the TV advertised deals apply. I also wouldn’t get the same level of techie fault reporting tools offered by PlusNet. It was clear to me that PlusNet where worth taking the chance on so I signed up for PlusNet voice and broadband for a year and so far I am very happy with the change. The only hiccup I have had with PlusNet is that they assume that all new customers already have uninterrupted internet access or mobile phone access. I had neither at my new home and still don’t have any mobile phone reception. All of PlusNet’s communication with new customers waiting for connection is via email and SMS text message. Fortunately, my wife’s corporate Blackberry could receive email here so the important messages concerning installation and activation went to her email account instead. PlusNet will not send a letter to you even if you request it so they are by no means perfect, but the best I could hope for. 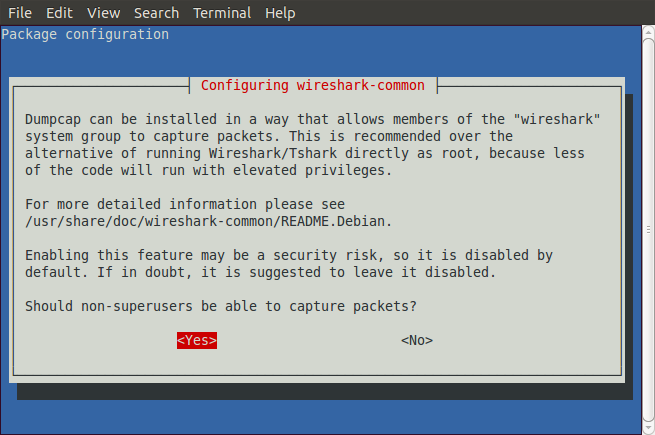 I have been using Wireshark for some time on my Vista laptop but I couldn’t get it to work on my smaller Ubuntu laptop. When an update was installed today for Wireshark on my Windows machine I decided that now was the time to fix the problem on my old Ubuntu laptop. It was a simple fix that was documented in the wiki. All I had to do was run this command to have WireShark detect the interfaces. Success confirmed by the output on screen.